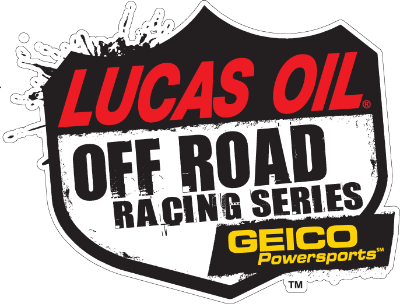 March 16, 2019 Lucas Oil Off Road Racing Series at Glen Helen Raceway in San Bernardino, CA. 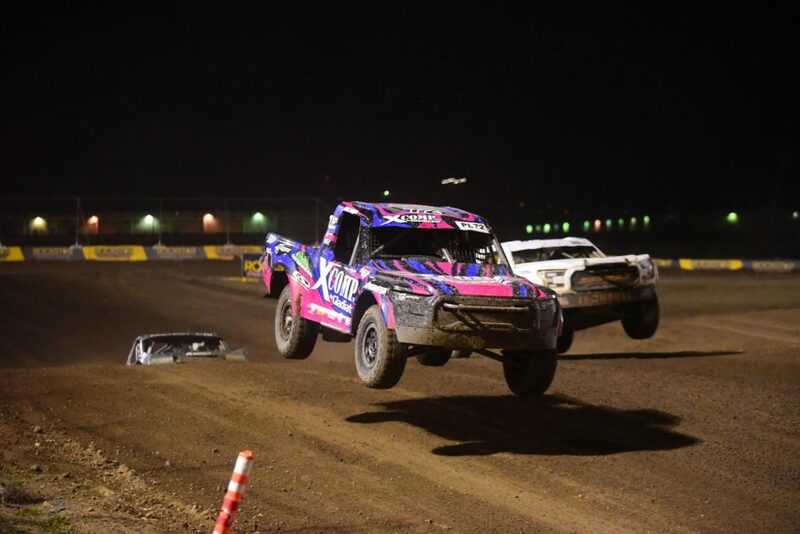 Saturday night under the lights was the first round of the most treacherous short course offroad racing series in the world, the Lucas Oil Off Road Racing series. 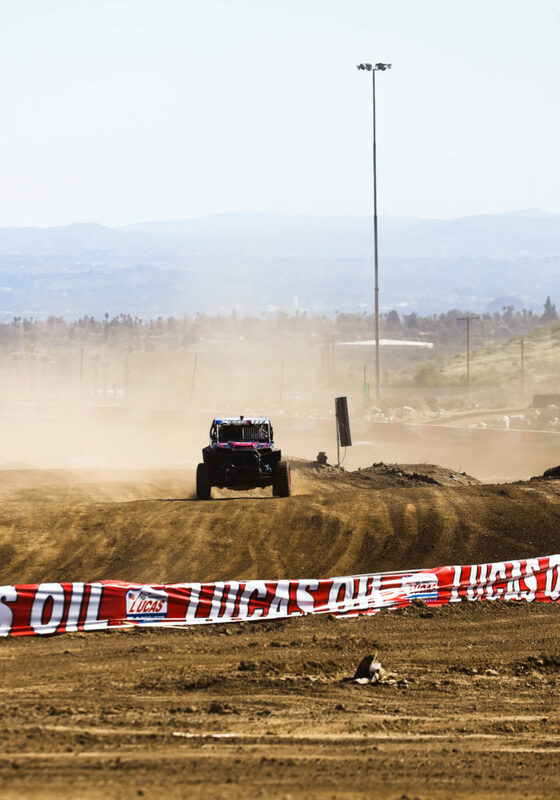 Katie Vernola competed at this sold out event at the Glen Helen Raceway with 15,000 people in the crowd and televised by CBS Sports and Mav TV. 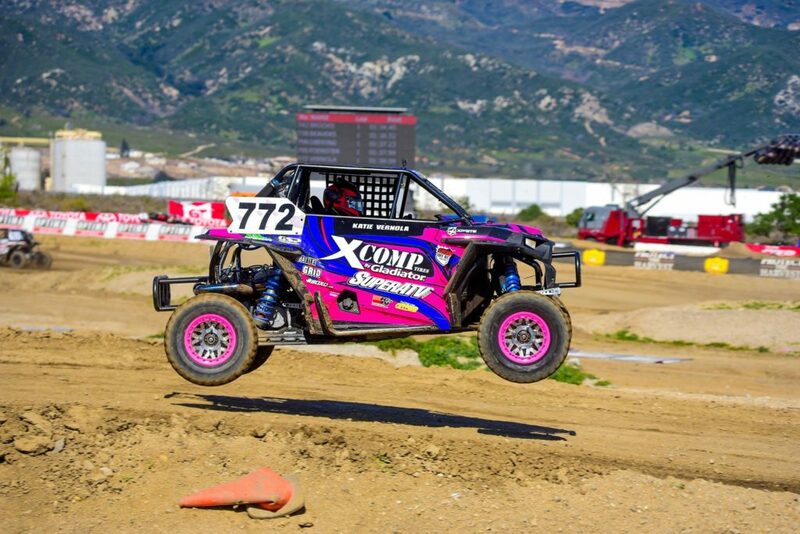 Katie raced in the UTV Turbo Class and also raced in the Prolite Truck class for her very first time. 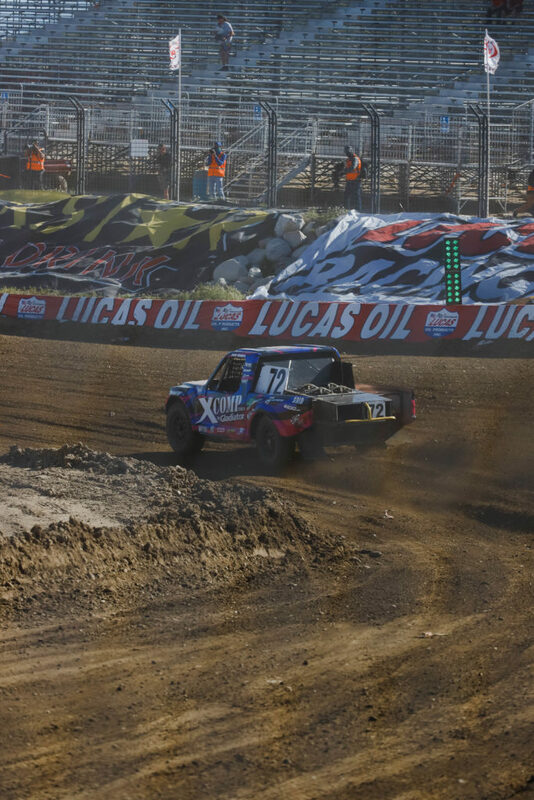 Before every race we must qualify for our starting position based off lap times. 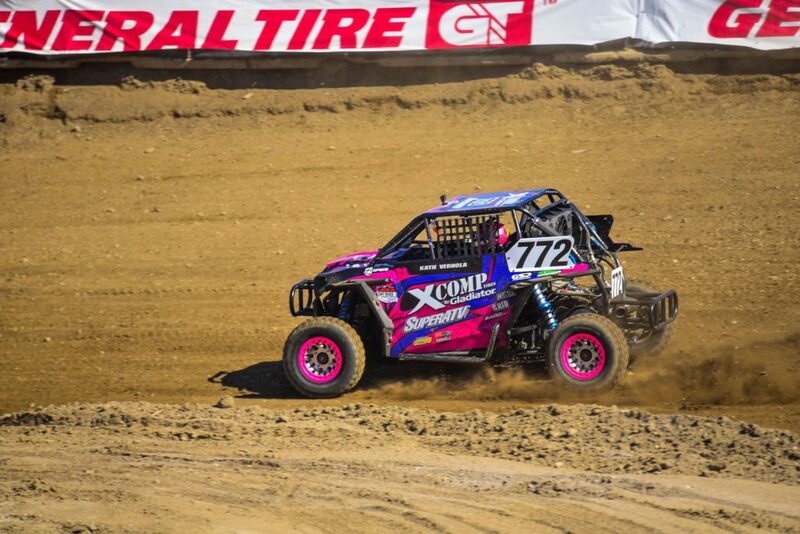 Qualifying for the UTV was first and Katie placed 13th out of 16th due to four wheel drive and power steering failure. 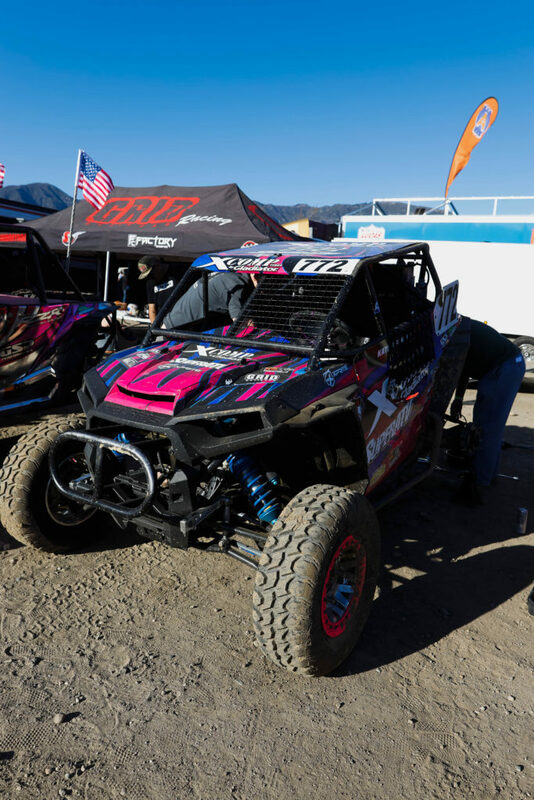 After qualifying the team fixed the four wheel drive, made some adjustments and then the UTV was ready to race. 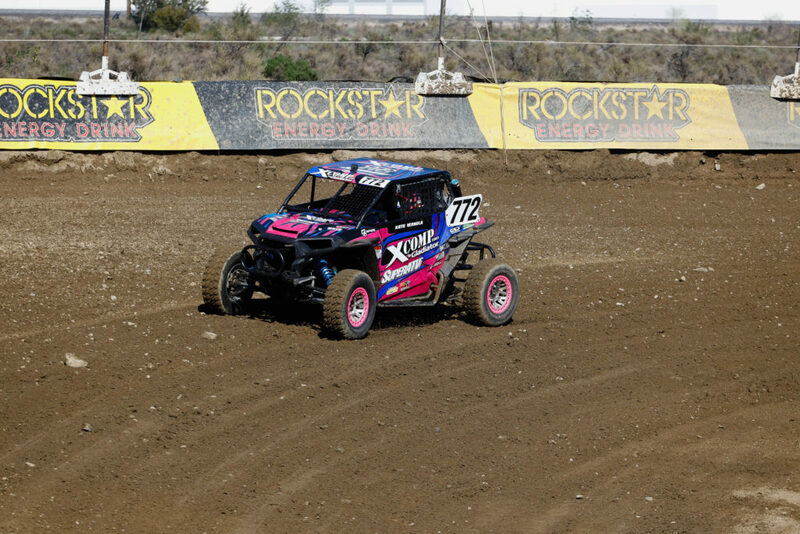 She started on the second to last row with the inversion but once the green flagged dropped she quickly made moves. 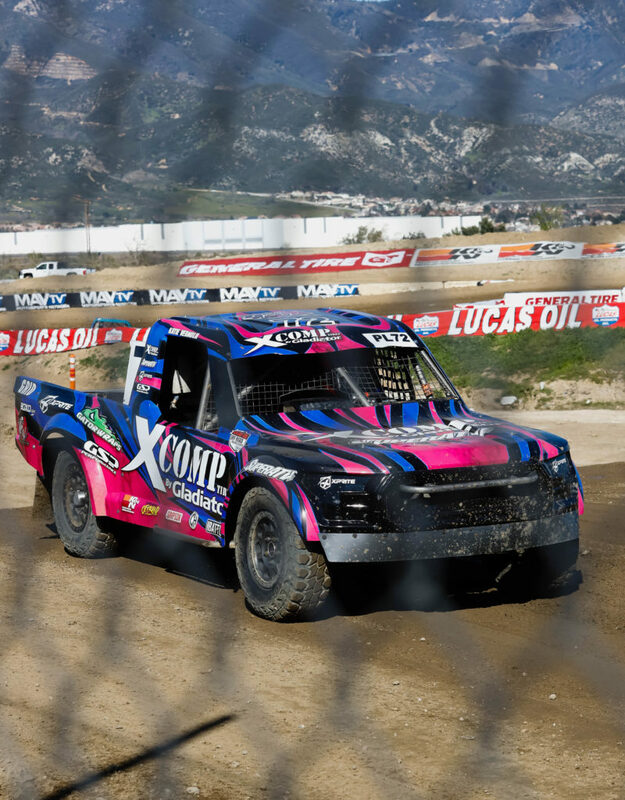 The track was extremely muddy and the X Comp by Gladiator tires worked really well. 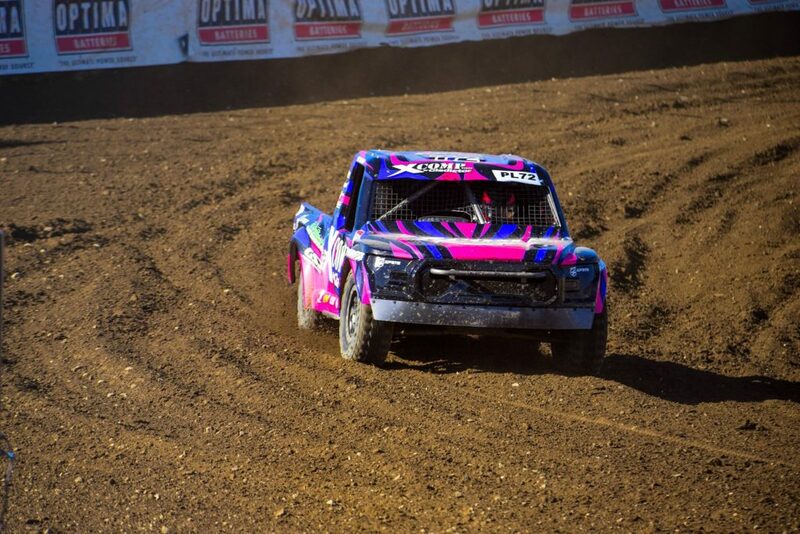 By the second lap she was in 11th and then in 9th by the last lap. 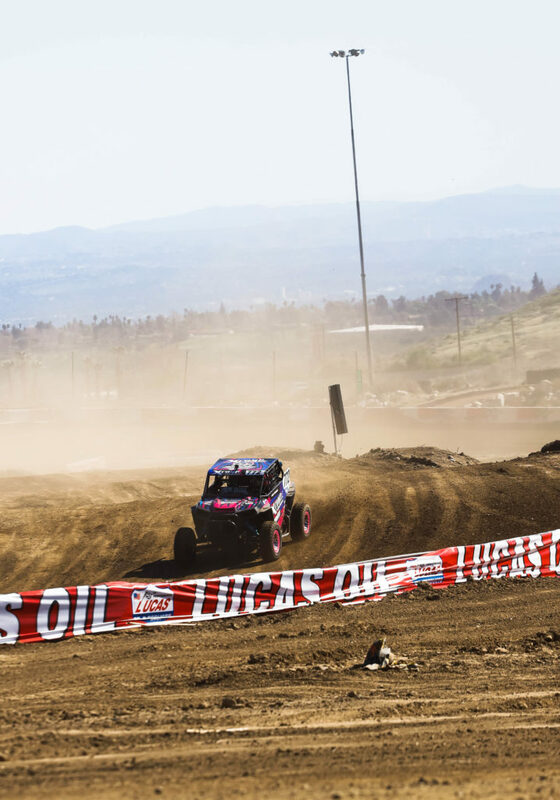 The SuperATV suspension and axle worked flawless as usual and the King Shocks were dialed through the whoops and landing off the huge jumps. 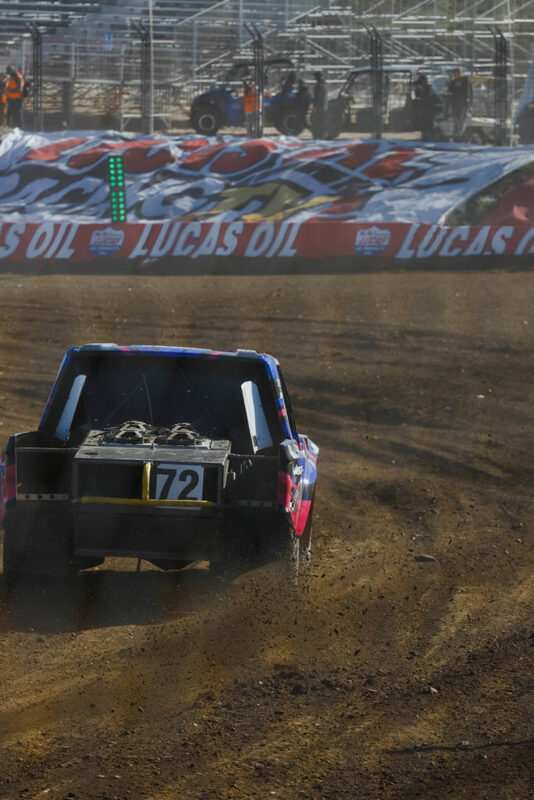 Unfortunately luck got worse and the motor decided to shut off preventing Katie from finishing all 12 laps; however, she still managed to finish 11th out of 16. 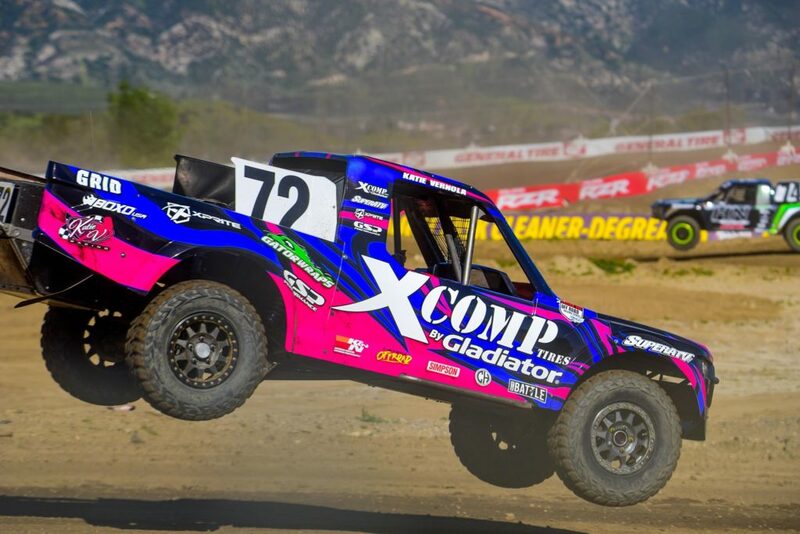 This is definitely not the finish the team expected with qualifying 2nd on Katie’s last UTV race but they’re just going back to the drawing board to map a better plan because the competition is the toughest it’s ever been before. 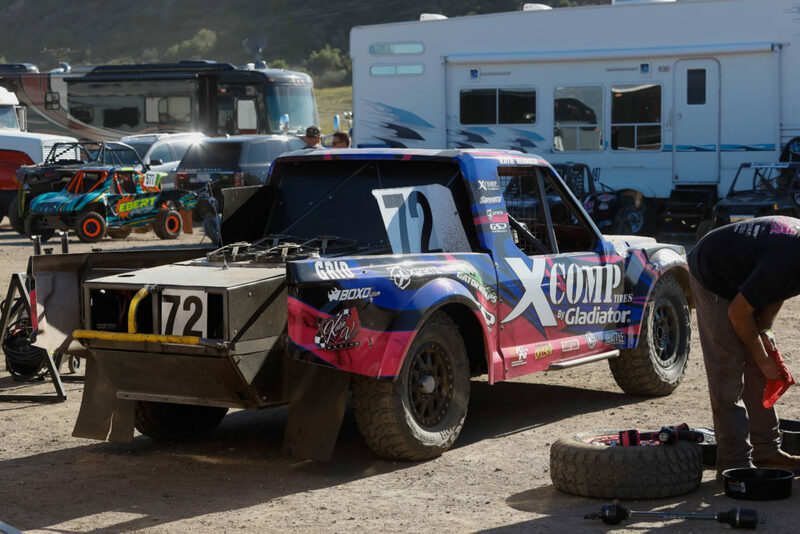 Next race was what most people consider a demolition derby, the Prolite class. 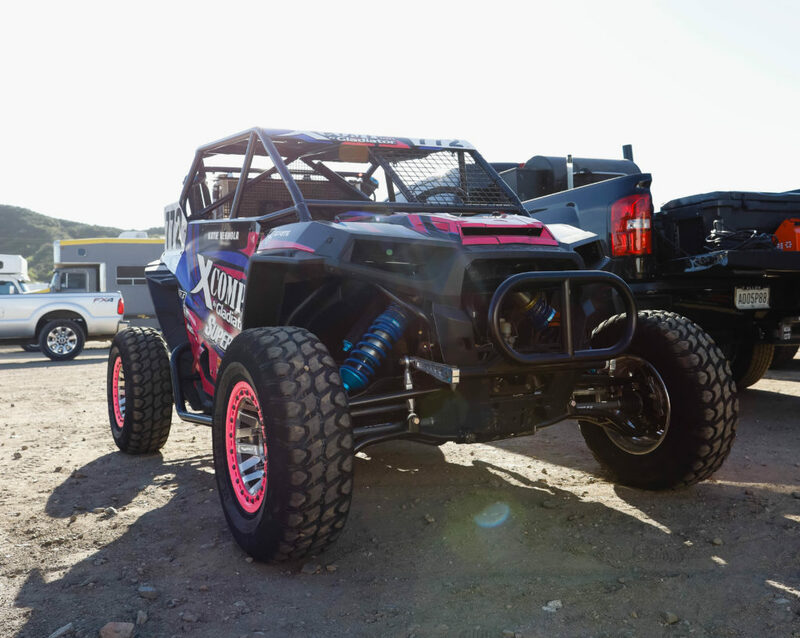 A prolite is a 3,400lb two wheel drive V8 truck with 500 horsepower. 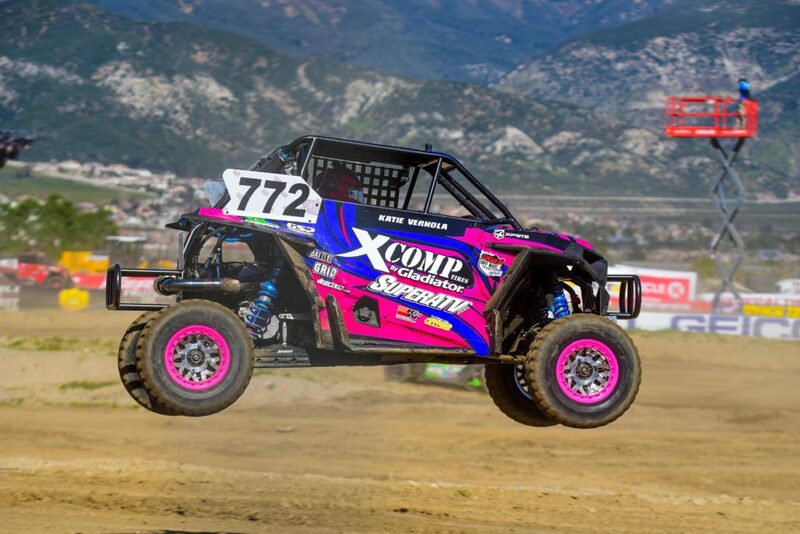 A huge step up from the UTV class and Katie was anxious to tackle her first prolite race in a field stacked with short course off-road veterans. 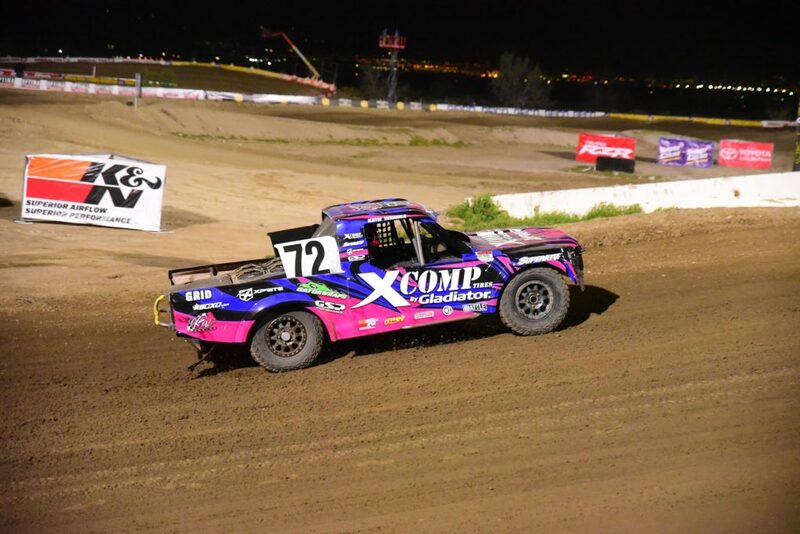 Katie qualified seven seconds behind the leaders but with competition being so tough she started in the back of the pack. 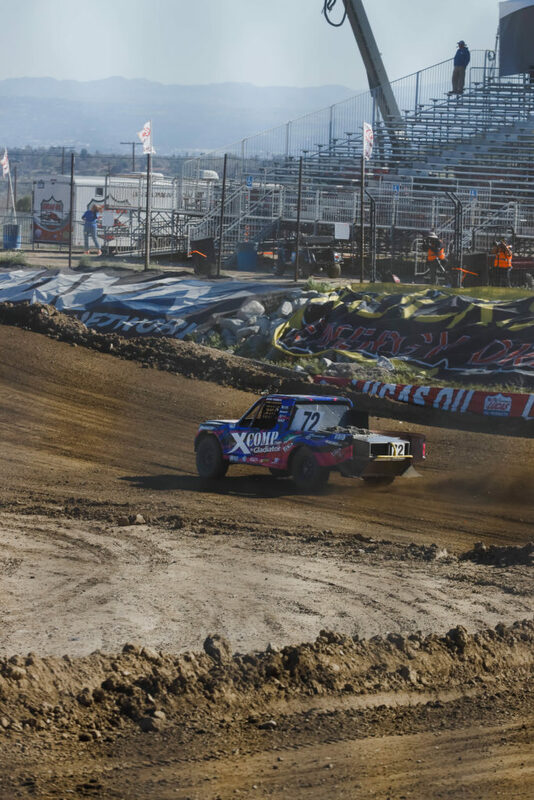 Tensions were high with over a million dollars of off-road trucks just inch’s away but that didn’t stop Katie from dipping down inside the turn right off the starting line. 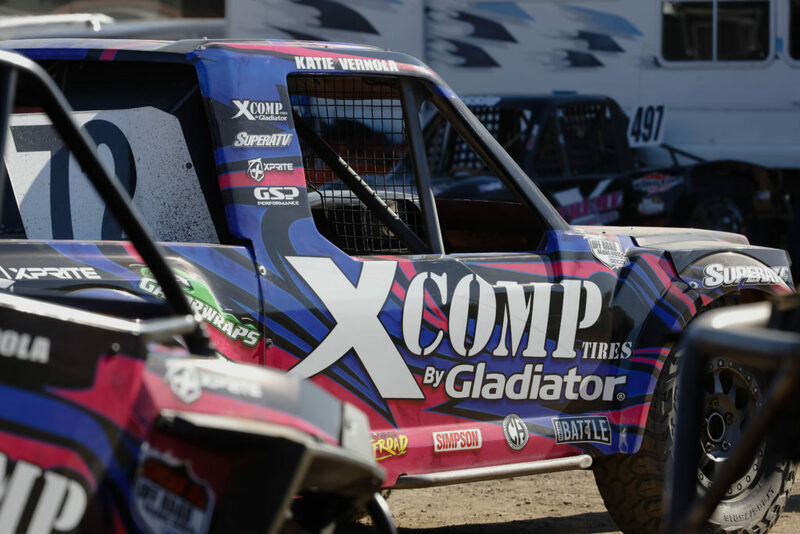 Katie maintained her position battling door to door throughout the race. 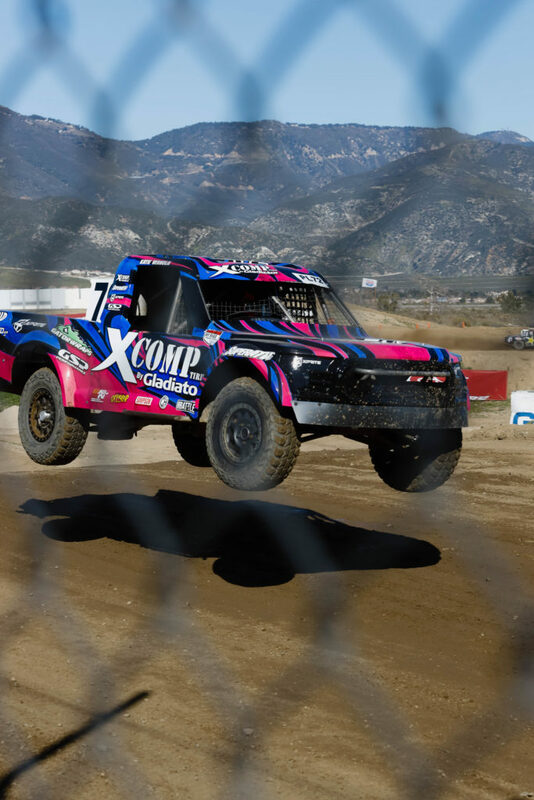 The XCOMP by Gladiator tires were awesome when the beginning of the race was muddy and by the end it was dry and dusty. 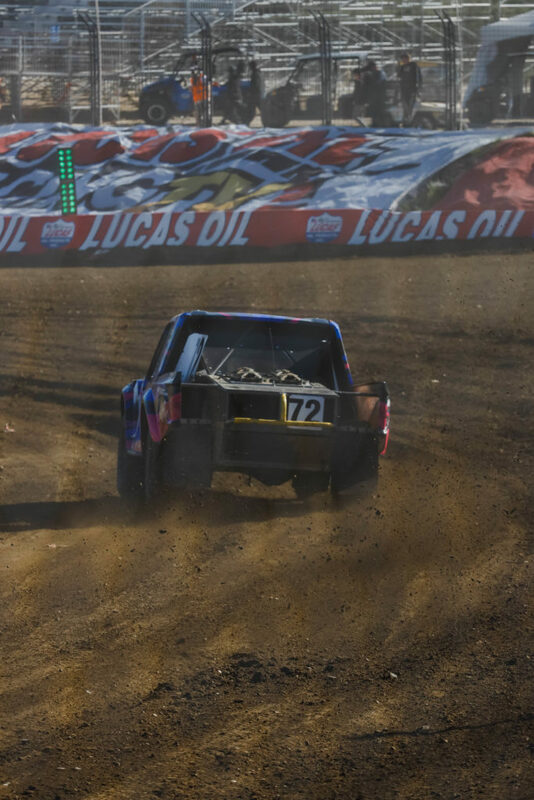 The sidewall tread was very beneficial when it came to the massive ruts with this 3,400 lbs truck. 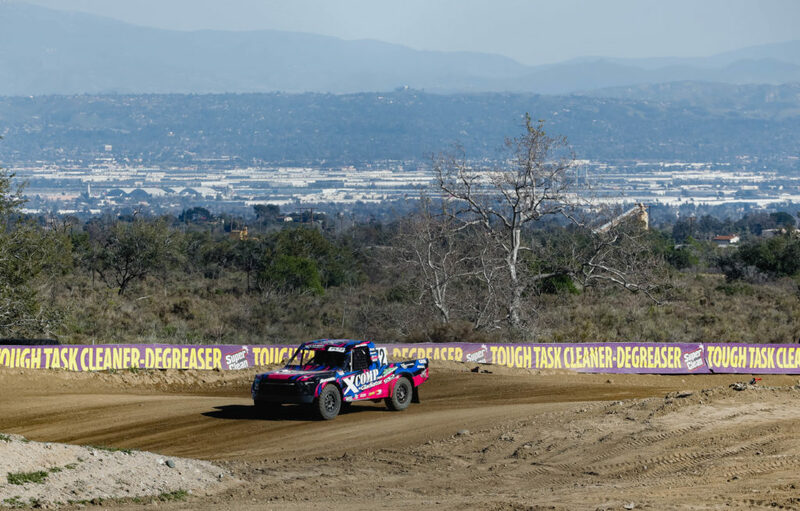 Katie said, “I knew I could pitch the truck sideways and slide in the turn faster because the tires would help me get traction exiting the turn”. 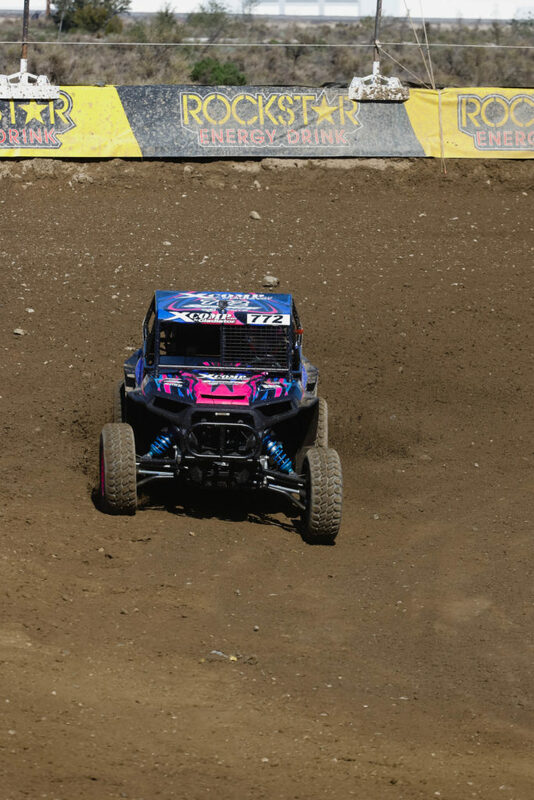 Katie finished just a few seconds short from the leader and finished 15th out of 17. 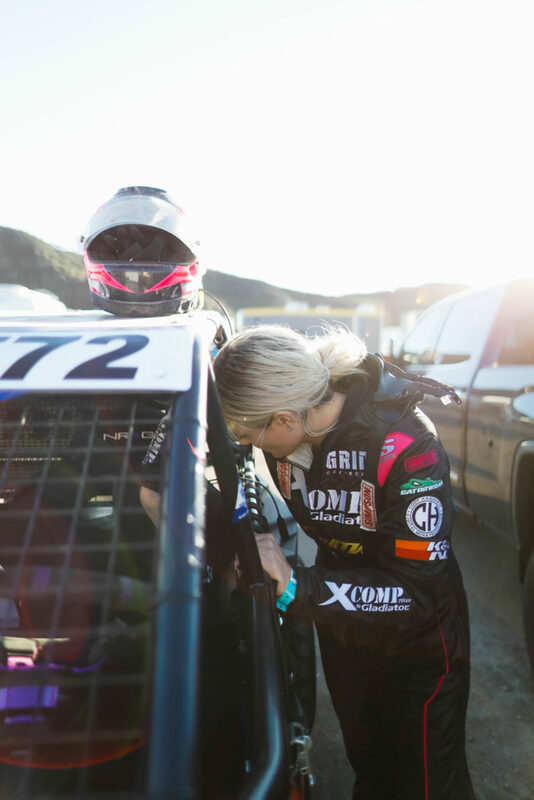 It was a brutal race and Katie’s goal was to finish her first race and that’s exactly what she did. 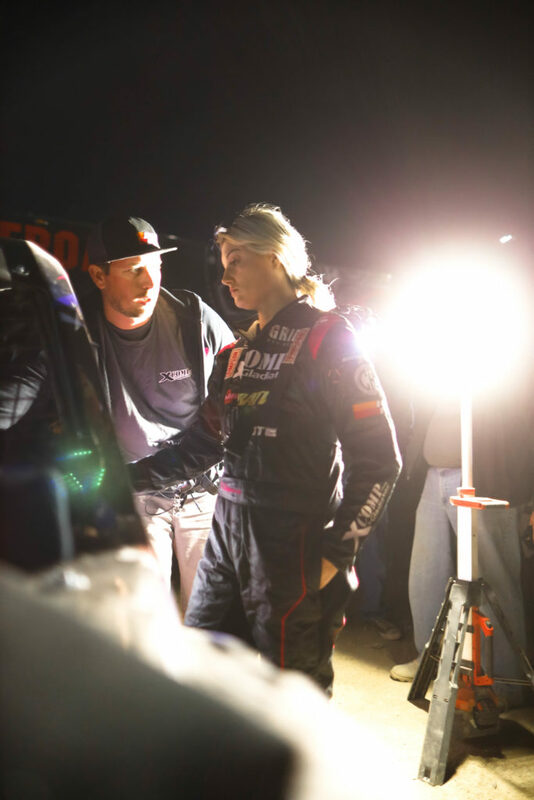 Katie and the team will work hard to get the Prolite truck and UTV ready for battle at the Wild Horse Pass Motorsports Park in Chandler, Az April 13. 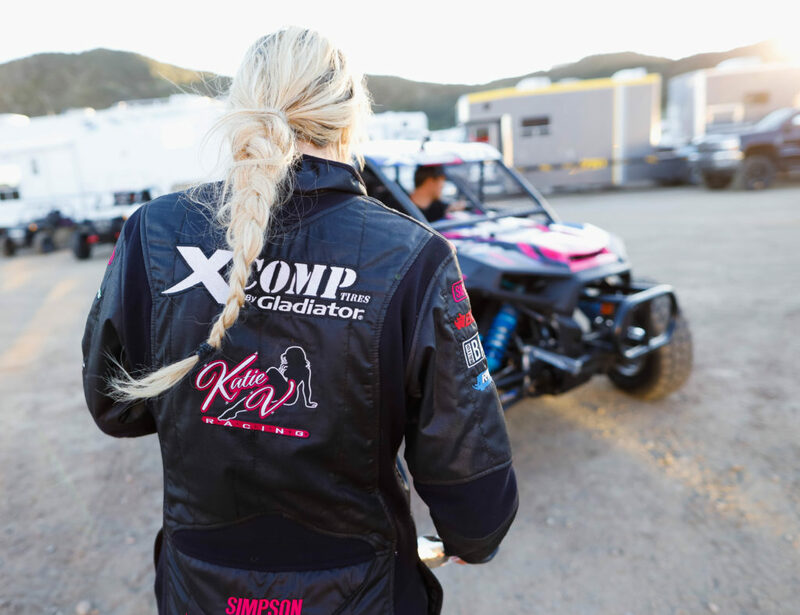 Thank you to my 2019 sponsors: XComp By Gladiator Tires, SuperATV, Xprite USA, Boxo USA, KN Filters, NRG Seats, Gator Wraps, Got Sand Performance, Simpson Race Products, SSV Works, Grid Off-Road Wheels. 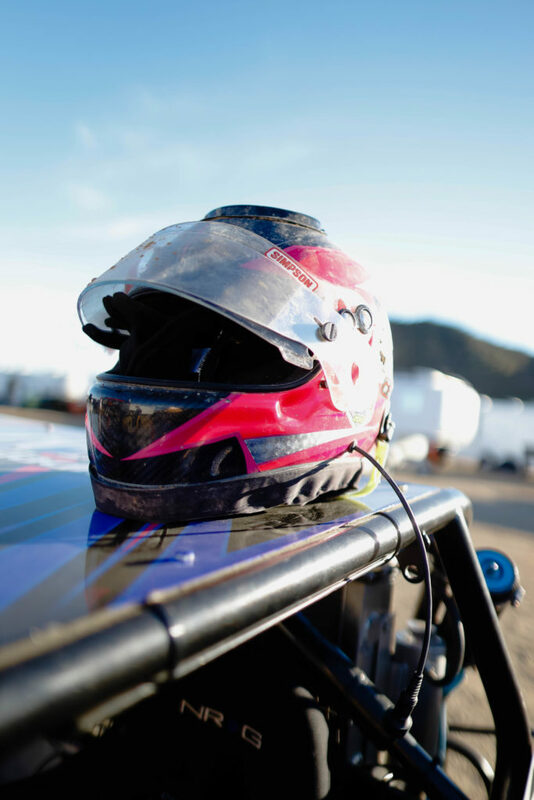 And thank you to my Katie V Racing Team: Nikolas Skiparnias, Pete Corwin, Mike Munoz, and hospitality from Cecil and Bee Hsu.